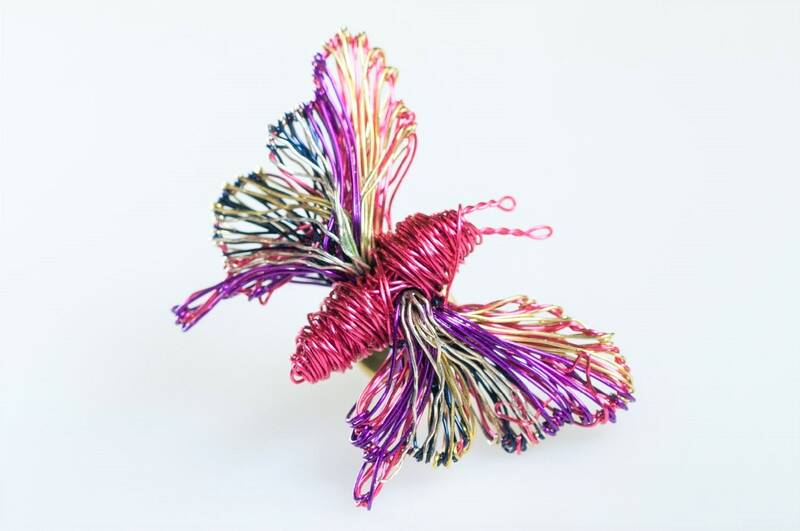 Handmade pink butterfly brooch made of colored copper and silver wire. 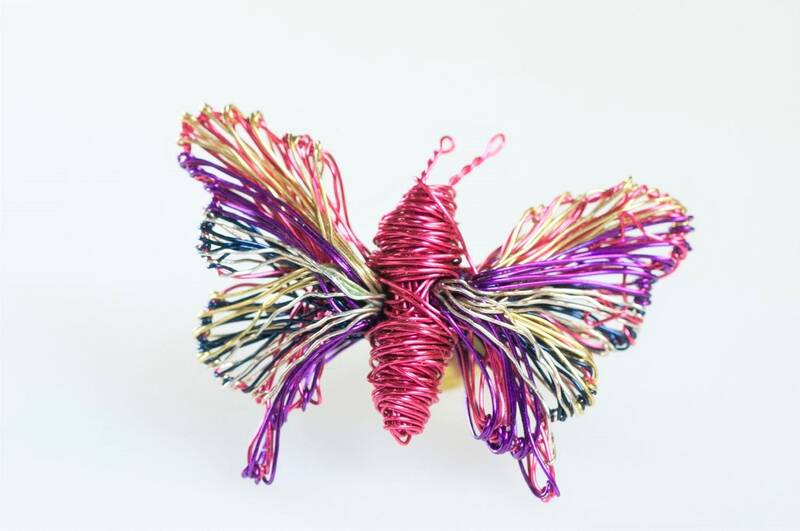 The height of the butterfly is 2cm (0.79in) and the width (body with wings) is 4cm (1.57in). The pin is bronze. I just love it! I think a matching pendant and earrings would be fabulous too. I have received many compliments regarding the butterfly pin. 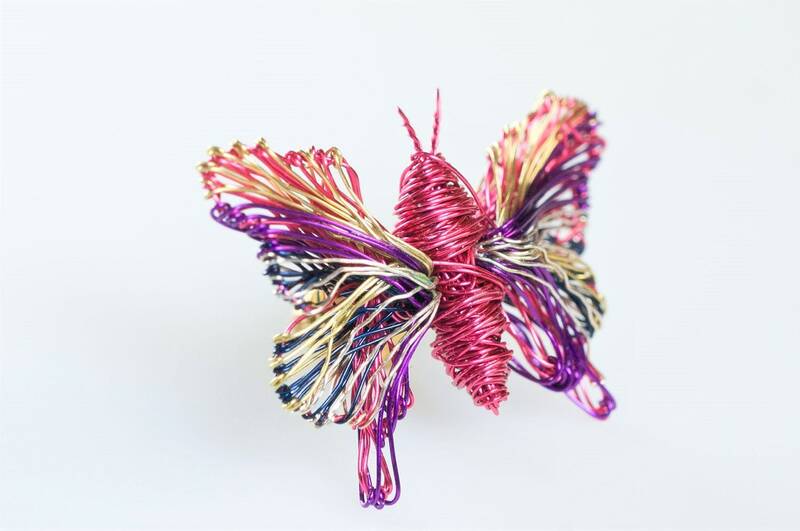 Also, the packaging was beautiful and had a lovely blue wire arrangement that mirrored the technique in the butterfly. I think it took quite awhile to arrive. 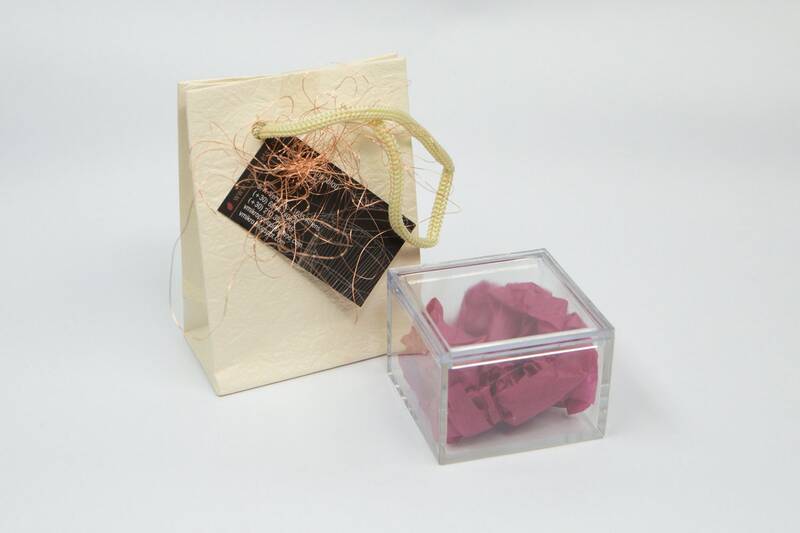 Beautiful, unique,lovely packaging, love it!